Based on satisfaction scores from your clients and caregivers, Best of Home Care awards are a powerful marketing tool that help you stand out from your competitors and earn trust. As a home care agency enrolled in our Satisfaction Management Program, you will earn this title and certification to show that you are committed to providing quality home care services and listening to client feedback. Show your clients and employees that you care about quality. Show referral sources you’re committed to quality care. Become eligible to be a Best of Home Care award-winning provider. Get listed on bestofhomecare.com where thousands are searching for home care. Strengthen your reputation and attract new clients. Use Trusted Provider to market your business. 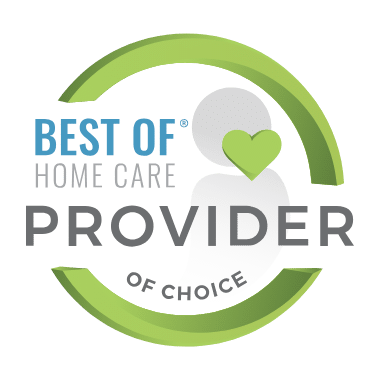 View the 2019 Best of Home Care Award-Winners. 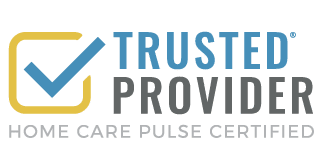 Be a Home Care Pulse Certified – Trusted Provider for at least six consecutive months. Have a minimum of 10% of clients interviewed monthly. Achieve the top 50th percentile in two or more client satisfaction categories for your region. Have a minimum of 10% of active clients interviewed on a monthly basis, or a qualifying Home Care Pulse interview package. Qualify above the 50th percentile in two or more client satisfaction categories within in your geographic region. Stand out to referral sources with third-party validation of your quality. Access a powerful marketing kit to promote your achievement on your online and in your community. Get listed on the official Best of Home Care award-winners list. Showcase your award on your BestofHomeCare.com listing and agency profile. Spread the word of your achievement with press release templates. Order Best of Home Care pins for your caregivers and staff to wear. Achieve the top 50th percentile in two or more caregiver satisfaction categories for your region. Have a minimum of 10% of active caregivers interviewed on a monthly basis, or a qualifying Home Care Pulse interview package. Qualify above the 50th percentile in two or more caregiver satisfaction categories within in your geographic region. Attract the best caregivers to your home care agency. Be a Home Care Pulse Certified – Trusted Provider for at least 12 consecutive months. Complete a minimum of two client and two caregiver satisfaction interviews per month during the previous 12 months. 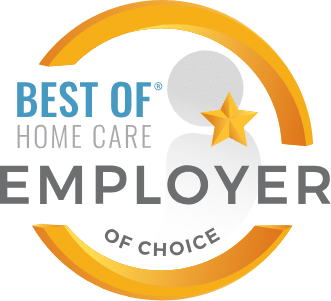 Achieve Best of Home Care in at least 10 of 14 combined client and caregiver satisfaction categories during the previous 12 consecutive months. Earn both the Provider of Choice and Employer of Choice Awards for the same time period. 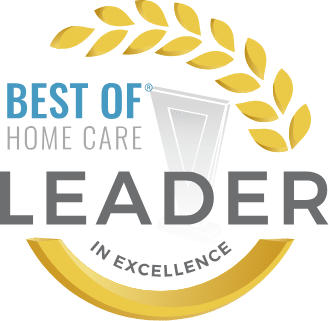 Be a Best of Home Care Award-winning provider in six or more client and caregiver satisfaction categories within in your geographic region during the previous 12 consecutive months. Attract clients to your home care agency. Get listed as one of the select few Leader in Excellence award winners on the official award-winners list. When I am meeting with a prospective client I can provide feedback summaries, which gives the client confidence that our services will live up to their expectations. Our care recipient’s families view our interest in their feedback as a very positive thing…This is a great program, well worth the minimal cost!